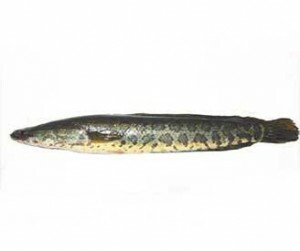 Long, thin body up to 47 in. ; flattened head; adults dark brown with dark blotches, young are lighter in color; scaled, snake-like head with sharp teeth. 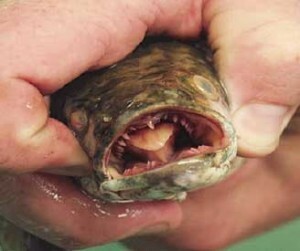 Air bladder acts as lungs; can live out of water for up to 4 days. 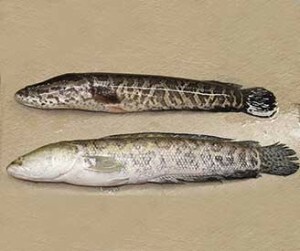 There are various kinds of snakehead – most common are the Northern Snakehead and Giant Snakehead. 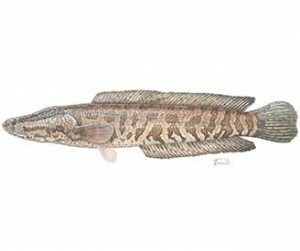 Survives in a wide range of habitats including wetlands, vegetated ponds, swamps, and slow-moving streams with water temperatures ranging from 32ºF to 86ºF. Not known to exist in Nebraska. Found in several tributaries in North- and South-eastern states. 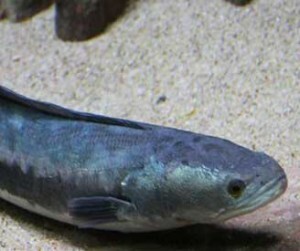 Previously popular pet; personal aquarium dumping, escape from aquaculture pens, bait bucket release, ship ballast water, and other activities.